We preach on these pages that the most important thing you can do to win is earn images – it’s the long ball play to gain success. Shows that have them win, shows that don’t lose. There are four critical images to earn that help you build reasons listeners come. These work, regardless of format: be Fun (people want to wake up and have a laugh); prove your Authenticity (have a perspective on the topics you choose, and let listeners in your life); be Innovative in ways that fit your brand (this creates differentiation between you and other shows); and be Relatable (prove you are just like those listening). 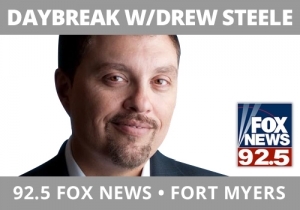 Daybreak’s Drew Steele, FOX News 92.5. Ft. Myers, FL subscribes to this philosophy, despite being a conservative opinion show. His plot is conservative politics, but the images are the same. President Trump is exonerated in the Mueller Report and this is topic #1 one on Drew’s show. Instead of pounding the table with his point of view, Drew did a song parody to communicate his perspective – because he knows that nothing is more sticky than making people laugh while showing it.